Are you looking to buy a new car but you need financing to get you behind the wheel? Whether you are planning to buy a brand new Kia Optima or Sorento, or a quality late-model used car, the helpful Finance Department here at Kia of Chattanooga is ready to locate the ideal financing fit for your needs. We have been helping Chattanooga, Tennessee area drivers get into stylish and dependable Kia cars and SUVs for years. When you are ready to find a new or used Kia and you need financing, remember to contact the Finance staff at Kia of Chattanooga! Drivers can rely on the Finance Department at Kia of Chattanooga and its trusted lending partners to find competitive car loan rates. You can get pre-qualified for auto financing by sending over a completed online credit application to our Finance Department. When we have received and reviewed your secure credit application, our finance managers can contact our trusted lending partners to find you viable auto loan options. We help structure car loans for drivers of all credit score levels, so even if you have poor credit or no credit, we encourage you to apply today! The chief goal of our Finance Department is to get our customers into a new or used Kia with a stress-free financing process. Our Finance Department’s work is not done once we have secured auto financing for you. You will be briefed about your car loan agreement, and our finance specialists can answer any and all questions of concerns you may have before you sign. 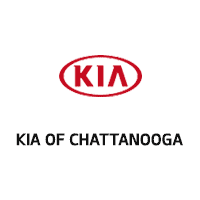 Kia of Chattanooga and our Finance Department are conveniently located near East Ridge and Ooltewah, at 2136 CHAPMAN RD, in Chattanooga, TN.